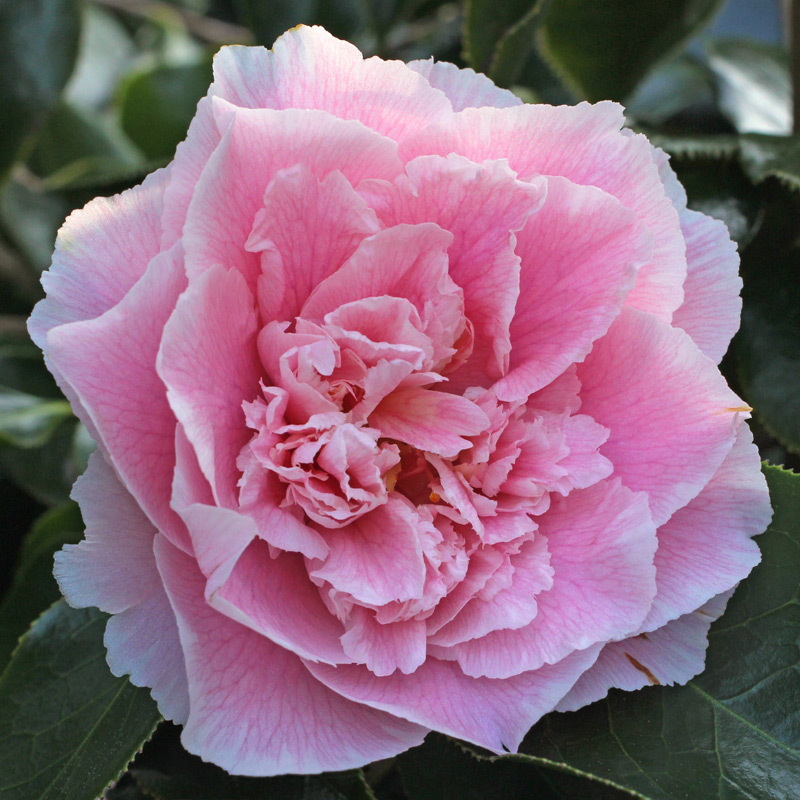 Camellia japonica ‘Elegans Supreme’. This variety should be solid wine red. A variety with this colouring would be expected from a bicolored form, but none seems to have been described.